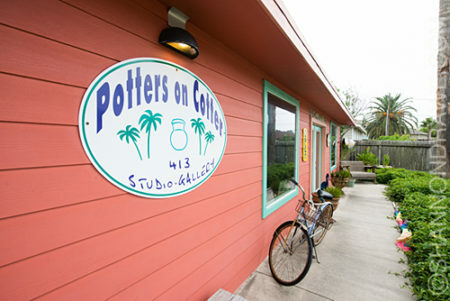 Potters on Cotter, Port Aransas, Texas. Even a blind pig finds a truffle every now and then. And so it was when I followed my instinctive eye and randomly pulled into the drive of Potters on Cotter, on Cotter Street in Port Aransas, Texas. Brenda’s recommendations are below, and I didn’t have any time for visiting these, but I did spend enough time to get a photographic overview of the art you can find in her studio. Brenda also has an Air BnB listing for a beautiful cottage behind the shop at https://www.airbnb.com/rooms/4773748?guests=1&s=nwx9XqgC. Check that out. « Monday Morning Sidewalk – How About a New Can of Worms?